Work for IBM Rational Team Concert? Learning about IBM Rational Team Concert?
" RTC good system to work"
In short, it is a layer of managing work items with flexible process flows, revisions, approvals, discussion features captured / grouped in one place. It allows to obtain the complete information of the work element with the history of how it evolved. The administrator controls are powerful, but there is a fairly complicated learning curve and you will need the support of the colleagues who already know how to use it or the IBM manaual. It is too powerful to manage it easily from the start if you are new as an administrator. The concept of the SDLC in RTC is very good and clear, but if you bring this tool to an existing organization, your developers, testers, etc. They will NOT accept it easily. You MUST make sure you have adequate time to train, have sessions to experiment and ask questions, and offer unlimited retraining sessions. Seriously. Make RTC administrators own that, because that will ultimately save you time and frustration as an administrator, since people will start learning the RTC method and will be less and less likely to cause alarms and panic in the last hours before to schedule an implementation. Manage the entire SDLC, from planning, development, testing and launching in the production environment. It manages code bases in all projects, year after year, easily compartmentalizing development flows into projects. I would consider it in order to manage a good work flow in large companies, where workers are not in the same office and the volume of work is very large. "RTC buen sistema para trabajar"
En resumen, es capa de gestionar elementos de trabajo con flujos de procesos flexibles, revisiones, aprobaciones, características de debates capturados / agrupados en un solo lugar. Permite obtener la información completa del elemento de trabajo con la historia de cómo evolucionó. Los controles de administrador son potentes, pero hay una curva de aprendizaje bastante complicada y necesitará el apoyo de los compañeros que ya saben usarlo o el manaual de IBM. Es demasiado poderoso administrarlo fácilmente desde el principio si eres nuevo como administrador. El concepto del SDLC en RTC es muy bueno y claro, pero si traes esta herramienta a una organización existente, tus desarrolladores, probadores, etc. NO la aceptarán fácilmente. DEBE asegurarse de que tengan el tiempo adecuado para capacitarse, tener sesiones para experimentar y poder hacer preguntas, y ofrecer sesiones de reentrenamiento ilimitadas. Seriamente. Haga que los administradores de RTC sean dueños de eso, porque en última instancia eso le ahorrará tiempo y frustración como administrador, ya que las personas comenzarán a aprender el método RTC y serán cada vez menos propensas a provocar alarmas y pánico en las últimas horas antes de programar una implementación. Gestionar todo el SDLC, desde la planificación, desarrollo, prueba y lanzamiento en el entorno de producción. Gestiona bases de código en todos los proyectos, año tras año, compartimentando flujos de desarrollo fácilmente en proyectos con facilidad. Lo tendria en cuenta para poder gestionar un buen flujo de trabajo en empresas grandes, donde los trabajadores no se encuentran en una misma oficina y el volumen de trabajo es muy grande. "Agile Project Management Tool - IBM RTC"
We were trying to build the Resource Management capability for the program. Earlier we were using SharePoint Lists to manage this, but it was a task to prepare graphical representations of the data for over 5000+ resources in addition to manually editing the details in SharePoint. This tool helped us with easy GUI creation and management of resource data was a breeze thereafter. Very good graphics, great UI features that allows to produce customized data sets to be displayed as a final result to the end user. "RTC for Jazz teams - (too) many options to use"
GUI is not so easy as I like. And RTC has too many features for small teams. For a few process configuration tasks you can't use both web or eclipse GUI - you must know which one you should use. Some important (for us and other customer) features waiting for years after we submit it as enhancement on jazz.net. Start with free 10-users license - you can try all features free and decide do you need RTC or not. You can also use trial licenses for a number of users in case you need more then 10. each license works for 60 days and you can use specific RQM or RTC license for first 60 days and then use "Rational solution for CLM" license (it covers all other) for another 60 days. So you can get 120 day trial. Then you can upgrade for next release and get next trial licenses for new release (IBM issues different licenses for different releases). Source control, defect tracking with testing (RQM) and requirements (RDNG) integration. Main benefits - we can track current state of defects and changes. Sometimes we also can check requirements, but it's really hard to force people update requirements in time, so start with small number of most important requirements. "RTC capabilities and its strength and weakness"
Work items with flexible process flows, reviews, approvals, discussions features captured / bundled at a single place. Easy to get the complete information of the work item with the history how it evolved. The work item is a static page, built with the process flows, set of attributes as per the work item design. End user does not have option to improve the work items sometimes which is dynamic in nature. Example in automobile industry - Vehicle development, there are few cases that the systems/ECU's (Electronic control unit) can get added up due to the market scenarios, competition, technology advancements. As per my initial requirements I might have 15 ECUs, due to market scenarios, now I might need to increase few more systems / ECUs I'm my RTC project area to accommodate the new systems, which currently the admin can only do it to enhance the attribute enumeration literals, meaning dynamic addition by the user is not available. It is wonderful tool with lots of features and capabilities such plans, work items and SCM for artifacts management. Dashboards are really great, it gives lot of visualization to prioritize the work. Project management - Internal planning and external planning with vendors using RTC. Common database similar to SVN for artifacts management using RTC SCM capability. Defects tracking, SW releases from suppliers. "Pretty good, even if it really only works well as a full-suite SDLC management solution"
Rational Team Concert, or RTC for short, works best as a full SDLC development, test management, and release management suite. When you have your software architecture and project work management integrated into it, and have tasks assigned and processed the way they should, it really gives the management and end-users great visibility of their projects and where they are in their various phases. However to do that requires that EVERYONE learn and use RTC fully. And that is just way too high a barrier to entry for many places to surmount as they need to continue DOING rather than learning, which is admittedly inefficient and stupid and leads to bad practice becoming ingrained in an organization and thus institutionalized. However, until senior management grants enough time for people to learn to RTC fully as it should be, which is the role of the braver middle managers to push, i.e. be real leaders instead of yes-men goons for the seniors, it a such an easy set of tools to misuse, abuse, waste the potential of, and otherwise turn it into a mediocre partial solution as part of your kit for the SDLC. Strong admin controls and powerful automation capabilities in concert (no pun intended) with tools like UrbanCoder for deploying releases. Good universal work item reference system. Everything can always be found using these, unlike other systems that will use different (i.e. non-universal) references for different things, confusingly enough. Great for managing work-streams and giving your client/business stake-holders views of your progress via easily managed browser-accessible dashboards. Relatively easy to manage the forked development of existing stable releases by different teams, or even within the same team if need be for experimental bifurcated development. Everyone in the SDLC has a role in RTC. Truly everyone. This makes access really nice to control. The admin controls are powerful but there is a steep learning curve and you WILL need support from IBM to help you there. It's just too damn powerful to manage easily at the start if you're new to it as an admin. The concept of the SDLC in RTC is very good and plainly obvious but if you're bringing this tool into an existing organization, your devs, testers, etc. will NOT accept it readily. You MUST ensure that they have adequate time to be trained with it, have sessions to just experiment and be able to ask questions, and offer unlimited retraining sessions. Seriously. Make the RTC admins own that, because ultimately that will save YOU time and frustration as an admin as people will start learning the RTC method and become less and less likely to cause huge alarms and panics in the last hours before a deployment is scheduled. Ensure you have plenty of time allocated for training, more training, and retraining. Forcing RTC on users with no time to learn to use it properly is a recipe for disaster. Managing the whole SDLC, from planning, development, testing, and release into the production environment. It manages code-bases across all projects, year after year, compartmentalizing development streams readily in projects with ease. "Best tool which combine change and configuration management activities seamlessly "
The major benefit we are getting is trace-ability of change item with configuration items as well as with requirements and quality artifacts. The complete SDLC treability help us in visualizing 360 view of project. "RTC is very User friendly change and configuration management tool available in market." Its very user friendly tool and having collaboration with test and requirement management tool. Java API's are available for writing extensions that makes RTC more reliable tool in the market. Some features in rtc can be achieved only through rtc eclipse client. In SCM part very limited options available at web client. Defect Management, Change Management and Version controlling. RTC allows team members to fully own their work, progress, estimates, etc. This ownership removes the extra time and miscommunication that is associated with communicating status to a PM and the PM then entering your status and tasks in a plan and communicating it back to the team. RTC also provides the ability of the team and each individual to create queries and charts to help them better understand the progress of their team and any issues that might be present. The dashboards are very visually pleasing, easy to set up and understand. Keeping track of your own work and updating progress on it is very easy in RTC. RTC's navigation model is difficult to understand for new users. It is not very intuitive and the UI is inconsistent in some cases which adds to the confusion. Once the user has spent a few months using RTC, this confusion is resolved, but it takes a little time. RTC does not allow a central way for a PM or a manager to manage work allocations of team members. I hope that this is resolved by an enhancement in the future. We have found that it is not effective approach to rely on each team member across a large organization to keep their allocations up to date at all time. Access to their allocations allowed to their manager would be great. - review your current process outside of the tool and streamline it before you move into the tool. Don't resolve your process issues in the tool or don't expect it to magically resolve them. If your process is inefficient and flawed today you need to fix that BEFORE you configure the tool to it. 1. Previously business users would submit support requests and work intake forms via email or SharePoint, now that we have RTC all business intake takes place via RTC. It is very nice to have the requests entered where they will be managed. Also allows business an insight into the progress of their requests real time. 2. Previously we had multiple ClearQuest schemas to support and use, one for each department and often several within a department for large projects. Today, we have kept RTC consistent across the entire organization. Support is easier, and usability is much better because the user knows how to use the work items regardless of which project they are on. 3. Everyone has access to all projects within a domain, that really simplifies access management and we have not run into any issues with allowing this type of access as default. 4. Because of that consistency of configuration across projects and domains, we now have an improved ability to run more meaningful metrics. "Rational Team Concert is the best Agile tool around for distributed teams!" I liked its ease of use the best. The intuitive user interface made performing Scrum development a breeze. The task tracking and the ability for my IDE to use the My Work View made things much easier to keep track. In addition we had a small development team, so the fact that we were able to get 10 free licenses up front really helped us out. There isn't much to dislike, except for the fact that RTC is huge and there is a steep learning curve to grasp all of its capabilities. "recommended this to my friends"
capability to reconcile system and software change or epic through a unique concept (work item). "it is a very powerful tool for manage change in a project and to perform agile development"
The user interface may be improved. The dashboards can be better in particular a drill down approach should be appreciated. "Better than Service Center or Mantis, not as good as JIRA"
"This is a great tool for agile project management"
RTC is great for organizing work using agile principles. It's better organised than some other tool I've used. There are widgets that can be used to summarize data. What I don't like is the inability to write my own query for the widgets - I'm stuck with whatever data choices someone else already picked for me. Also, there's a prioritized list view that uses a number to rank. I'm not able to create a query that will give me this rank number. We're able to sort and manage data according to agile principles. "Better way to manage your project"
We used RTC specifically for Change Control Management and to assist with Agile development. In regards to Project Management and the team collaboration it supports, it is far superior. "IBM Rational Team Concert in an IT Transformation Programme"
Team collaboration is simplified by keeping an audit log of changed artefacts while maintaining the integrity thereof. I have not seen an integration into Single Signon solutions. If this can be achieved, this will remove a lot of pain. Wide range of features supporting multi-disciplinary interests (testing, development, planning, security) for a project. UI is buggy and takes a while to figure out the workarounds. Tries to be modern but the behavior is clearly missing real-world user feedback. "RTC is too complex to use unlike Git"
There's a whole eco system around RTC, and we can track defects etc. collaboration, traceability, and quality through our SDLC. The user friendliness of the software, doesn't take too much time to train in it's use! There is not much to dislike about this software. IBM RTC keeps my team on the same page and all of our information in an easy to manage, common place. 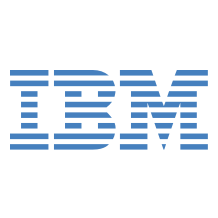 IBM is a great product that has been around to prove it's worth. I have few dislikes about this software program. This was effective when using the multiple client concept and applying it to the plan. Once established, it is easy to manage and monitor requirements elicited and to analyze. * We monitor all IBM Rational Team Concert reviews to prevent fraudulent reviews and keep review quality high. We do not post reviews by company employees or direct competitors. Validated reviews require the user to submit a screenshot of the product containing their user ID, in order to verify a user is an actual user of the product. Hi there! Are you looking to implement a solution like IBM Rational Team Concert?